The Murphys searched high and low for the perfect colonial with a pool in Northern Prince George's County. Well they finally found one, and they officially purchased it this week! They put blood, sweat and tears into the mortgage approval process and now have an absolutely gorgeous home to show for it. Was it all worth is? They said yes! 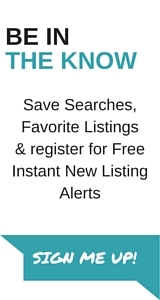 You now have free access to Southern Maryland’s Ultimate Real Estate Search Engine! Your local real estate expert has the knowledge and experience to deliver the unsurpassed service you deserve. Local Specialty: Upper Marlboro, Lanham, Lothian, Edgewater, Annapolis, and Dunkirk as well as all of Southern Anne Arundel County and Southern Maryland. Google or call me today and let’s discuss how I can save you $1,000’s when you buy or sell real estate. Call Genna Fleming at (443) 532-8917 to chat real estate, or follow my real estate adventures on Instagram @realestateaskgenna!